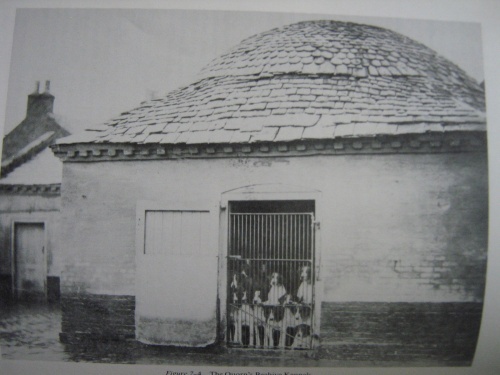 These unusual almost circular "beehive pattern" brick huts, were thought to be drying rooms for the hounds after washing and grooming. They had a hole in the centre of the roof. Another possible use was for storing horse meat for feeding the dogs. The meat came from an abattoir in Flesh Hovel Lane at the bottom of Barrow Road.